Men like candles too, but don’t be fooled this candle is just as popular with the ladies. Masculine, bold, and complex, The Gentleman has a seducing aroma, a sense of intrigue and a little bit of mystery. 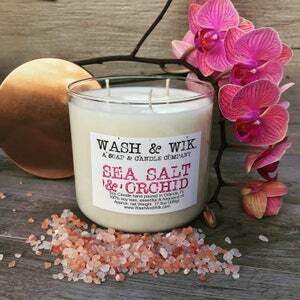 You will get notes of black musk, ozone, sea salt and small citrus notes. Our soy candle is anything, but ordinary. 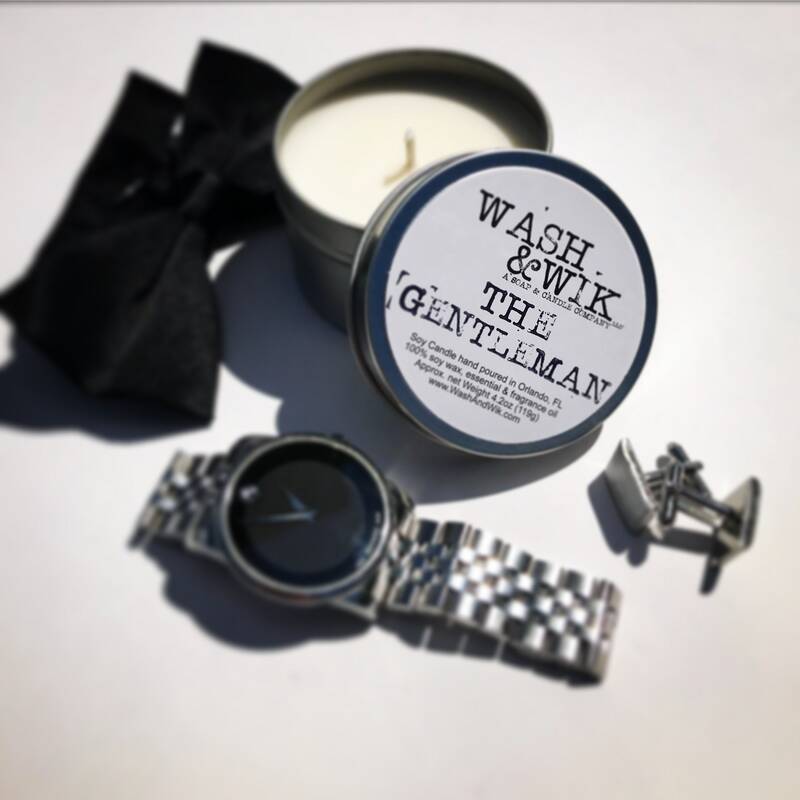 The Gentleman’s Motto: “Be well dressed, behave like a Gentleman, and keep your shoes shined.” This candle was hand crafted with that in mind. The perfect blend of musk, subtle and sweet. 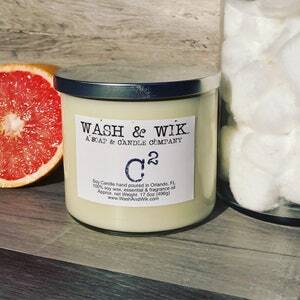 This candle is hand poured and contains simple ingredients- pure soy wax, a cotton wick, with fine fragrance and essential oils. Soy burns remarkably clean and long- expect this candle to burn for 25 – 30 hours. When the candle is gone, simply wash out the tin with hot soapy water and re-purpose it to store anything you please. We make candles with sustainability in mind. 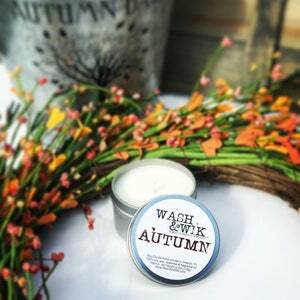 Like all our candles, our labels are hand stamped. 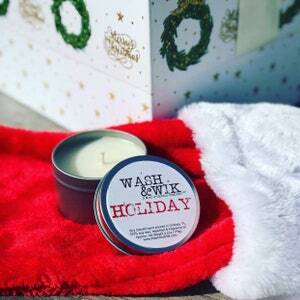 Candles will be shipped via USPS Priority Mail. 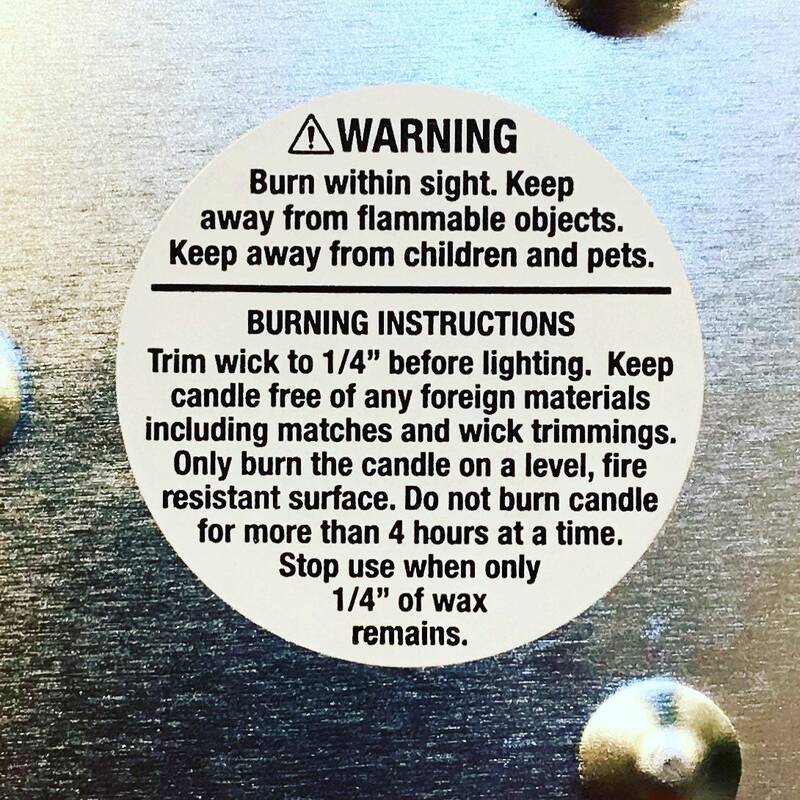 Trim wick to 1/4" before lighting. Keep candle free of any foreign materials including matches and wick trimmings. Only burn the candle on a level, fire resistant surface. Do not burn candle for more than four hours at a time. Stop use when only 1/4" of wax remains.